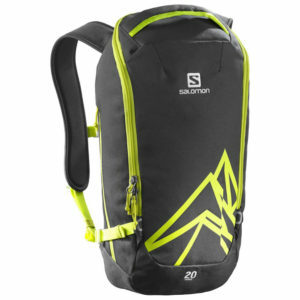 The new Salomon Quest 12 Skiboarding/ski Backpack 2018/19 is ideal for lift-accessed or heli-accessed backcountry/in bounds skiboarding. This slim fitting, close to the back, Salomon QST 12 provides outstanding stability and can be easily worn while sitting on a chairlift. This pack is amazing, small and compact yet will carry your skiboards, helmet even, special goggle compartment and water bladder too. Lot of attachments and inside pockets for items. This pack is made of PVC free, flat mesh, nylon and is waterproof. 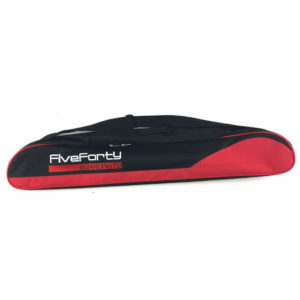 It features an Airvent SNOW PLUS thermomolded back panel that provides comfort and absorbs hits. Snow will not remain in your back which improves comfort as well. Large Channels to circulate air. 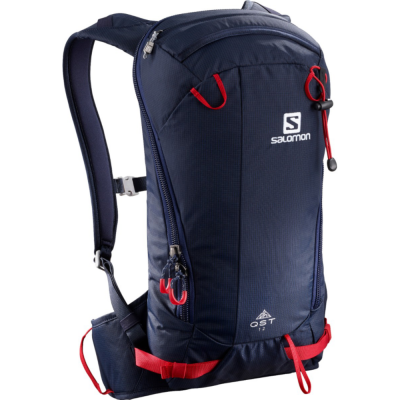 The Salomon Quest 12 Skiboarding/Ski Backpack 2018/19 also features an adjustable sternum strap, load lifter straps and a top handle for carrying. Shoulder straps have 2 buckle attachments. Special diagonal skiboard carrying system features two diagonal attachments as well as attachments for 2 stowable poles/iceaxe carriers as well as helmet loops. Bladder compartment with hanging system.